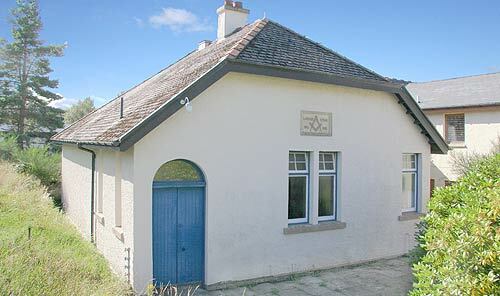 Our Masonic Lodge in Kyle of Lochalsh - founded 1913. Saturday 1st Decemeber 2018 at Lodge Fingal in DIngwall saw the arrival of a substantial delegation from the Caribbean. They were there to enjoy a meal after a Third Degree performed by Reigning Masters, the first of its kind in Ross and Cromarty. It was a superb day and evening! Today 18th August the Provincial Grand Lodge of Ross and Cromarty met up with the Widows Sons, a Masonic Motorcycle Club who are touring Scotland, to lay a wreath in memory of the fallen of World War One or "The Great War"
Lodge Kyle warmly welcomes existing freemasons visiting the website and anyone expressing an interest in joining Lodge Kyle. You will find a map with directions on how to get to Lodge Kyle Masonic Hall by clicking here. The lodge takes its name from the village of Kyle of Lochalsh in the north west of Scotland and the number 1117 represents its chronological position on the roll of the Grand Lodge of Scotland, the governing body of Freemasonry in Scotland. Please enjoy your visit to our website and if you have any questions do not hesitate to contact us. You will find the addresses here. Local lodges gathered funds to buy an electronic wheelchair .. here is the day it was presented to a very worthy organisation.